While rapper 2 Milly isn't exactly a known quality, his popular dance the "Milly Rock" is one of the most recognizable dances of 2018. 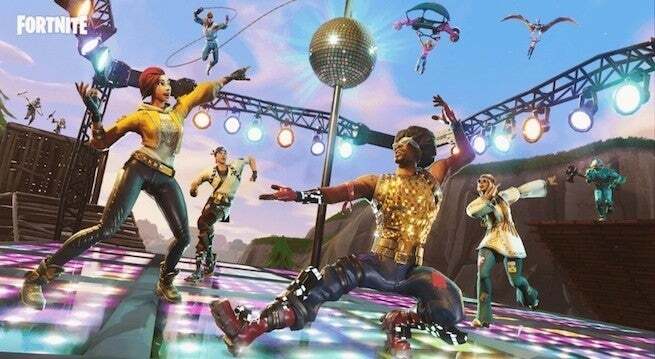 After going viral, the dance was adopted for use by a variety of sports stars, as well as by Epic Games' battle-royale shooter, Fortnite, which tends to be all over the latest trends in dancing. For those that don't know: in Fortnite the Milly Rock appears under the name "Swipe It" as an emote that allows players to bust it out the dance whenever they want during a match. According to 2 Milly, Epic Games never reached out to the rapper about adding the dance to the game. "Everybody was just like, 'Yo, your dance is in the game,'" 2 Milly told CBS News' Vladimir Duthiers. For the rapper, the point of conflict appears not to be the usage of the dance, but the fact that's monetized. "They actually sell that particular move. It's for purchase," 2 Milly said. "That's when I really was like ... oh Nah, this can't go on too long." As you might recall, earlier this year Chicago-based artist Chance the Rapper called attention to this very issue. According to CBSNews, 2 Milly is hoping to pursue legal action against Epic Games for the usage of Milly Rock, but as business and entertainment lawyer Merlyne Jean-Louis notes, it's an uphill battle. "There's a lot of case lawsuits surrounding the copyright of music. Lyrics. Sounds. There's a full body of case law related to that. But regarding choreographic works, that does not exist," Merlyne Jean-Louis said. That said, for 2 Milly, it all comes down to protecting what he feels like is his original property. "I don't even want to bash them for all the millions. Know what I am saying? It's not really like that. I just feel like I have to protect what's mine," he responded. Breaking news, my friend! Anyone who needs substantial Fortnite Items at a reasonable price, we have a treat for you now. Fortnitemall is providing a great service for Fortnite Items for sale, along with big discounts as well. Follow the Fortnite Skins or Fortnite items for Sale to view more details or purchase now!